The main building at Camp Malvern will be replaced by a new building. A side view of the building. Here’s an update on the Malvern Camp project. 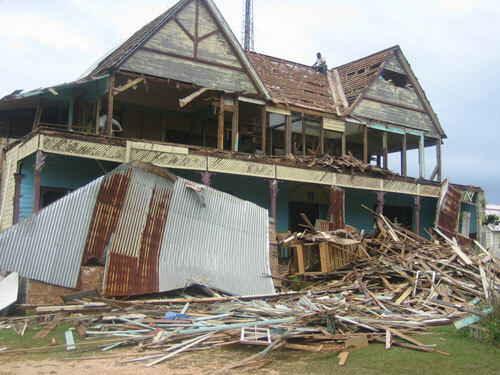 As you can see, the Jamaican people are hard at work tearing down the old building. 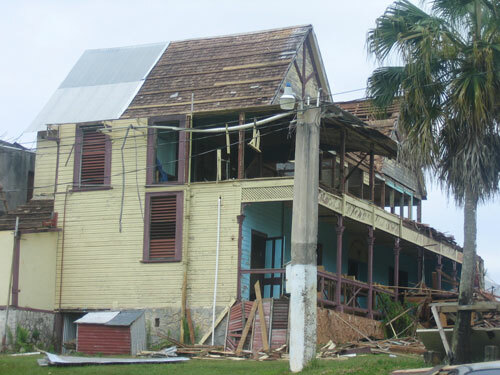 Beginning on January 22, construction teams from North America will travel to Jamaica to work alongside Jamaica Conference to rebuild the main building. Owen Gordon, a Jamaican pastor and president of Jamaica Bible College, writes, “Over 100 years of history is slowly coming down. 28 Dec Obit: Death of Bishop Emeritus Wilber L. Sites, Jr.
Bishop Emeritus Wilber L. Sites, Jr., passed away at 1:30 a.m. Tuesday, December 28, 2010. He was 84 years old. 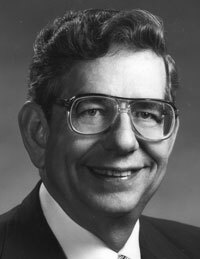 Dr. Sites graduated from Huntington University in 1958, and from the HU seminary in 1961 with a Master of Divinity. He was ordained in 1961. Huntington University awarded him an honorary doctorate in 1978. He earned a Doctor of Ministry from Trinity Evangelical Divinity School (Deerfield, Ill.) in 1986. During their retirement years, Dr. Sites and his wife, Mossie, did short-term mission work in Macau and at Jamaica Bible College. He and Mossie were married in 1946 and had three children. Funeral: 10 am Friday, December 31, 2010 (with visitation 1 hour before). Officiating: Dennis Sites (son, senior pastor of Jerusalem Chapel UB in Churchville, Va.), and Jason Bakker, associate pastor at Salem UB. In lieu of flowers, the family prefers memorials to Jamaica Bible College, c/o Salem United Brethren Church. Our Christmas was very quiet. Roger and I are now in Honduras, and our girls did not come this year. They were all together in San Antonio, Texas. Even so we did get to be part of their Christmas. It was fun to watch the grandkids open their presents– watching on the webcam and through Skype. 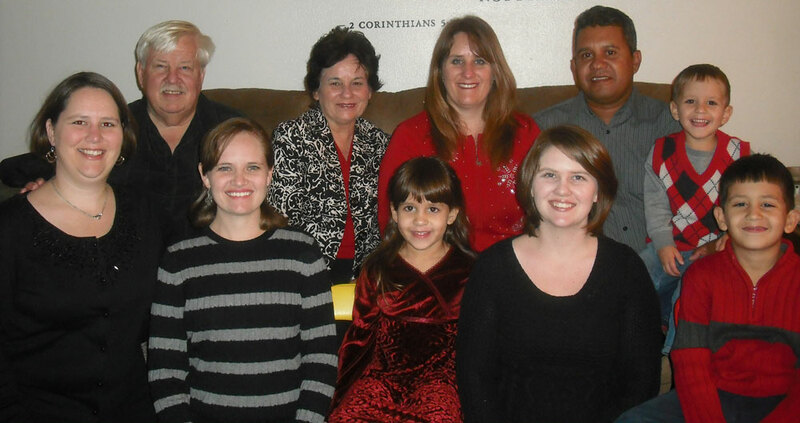 We remained in the US long enough to spend Thanksgiving with our 4 daughters, son-in-law, and grandkids in Texas. The picture above was taken then. Here are some photos from my recent travels to various UB churches. 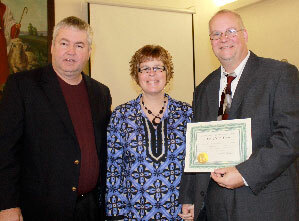 On November 21, I presented a local church ministerial license to Dan VanArsdalen (with his wife, Deborah) at the Alvordton UB church (Alvordton, Ohio). Dan is senior pastor of Alvordton. 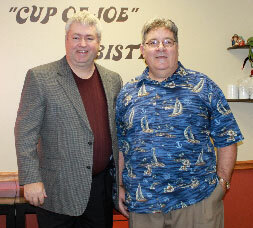 With Joe Cilone, pastor of Pleasant Heights UB church in East Liverpool, Ohio. I visited him the weekend of December 4-5. 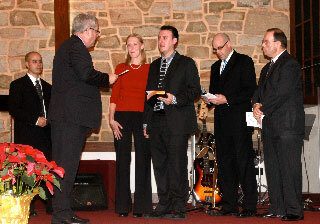 The ordination of Warwick Fuller on December 12 at Devonshire UB, Harrisburg, Pa. Warwick has been hired as associate pastor of Crestview UB in Lafayette, Ind. Standing to the right or Warrick are Todd Fetters, senior pastor of Devonshire, and Dan Young, senior pastor of Crestview..
On December 19, I attended Corunna UB (Corunna, Ind.) 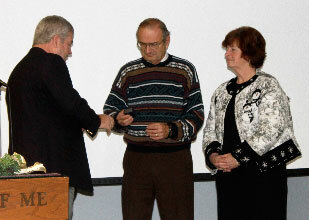 to present a retirement pin to Jason Hollopeter (with his wife, Donna) for his 37 years of service in the UB church. The Healthy Ministry Resources (or Church Services) bookstore at the national office will adopt new hours in 2011. Beginning January 4, 2011, the new bookstore hours are 8:30 am – 4:00 pm, Monday through Thursday. The bookstore will be closed Fridays. We continually increase the number of people who receive UB information electronically. Here are the latest numbers. Facebook: 411 people now “Like” the United Brethren page. We add new persons every week. A little over a year ago, we started at zero. Last March, the number was 230. Feedburner: 200 subscribers. Feedburner is the best way to keep current with UB news, since the news comes to your email every day. Subscribe here. Connect Email: 1242 subscribers. This is an occasional e-letter containing UB news and information. Subscribe here. WAVES: 277 subscribers. This is a fairly new quarterly email from the Women’s Ministry Leadership Team. It’s designed as a resource for women. The second edition went out a few days ago. Subscribe here. This year we are experiencing very severe winter, which caused chaos everywhere all over Europe. This winter came suddenly and caught many off guard. Many are dreaming of a wonderful Christmas holiday, yet they may be stuck on the road or in the airport. What would our lives be like if it was always winter but never Christmas? There would be nothing to look forward to because days get shorter and thermometers fall. There would be no winter family gathering, no holiday traditions, no Christmas gifts…. On a more serious note: Christmas represents the birth of Jesus Christ. His coming changed history. Bethlehem only happened so Calvary could happen. He was only a baby so He could be a man and die. He only lived in order to die and save. 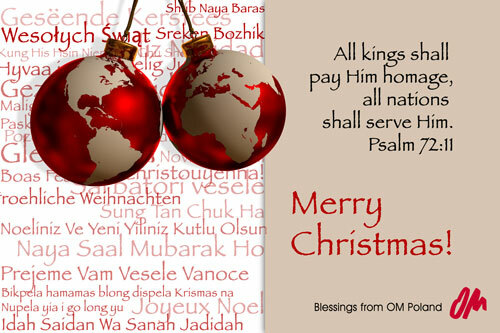 If there had never been a Christmas, the world would be far different than it is today – in ways we cannot imagine. Our church has sensed a need in our community and have opened a weekly Clothing Bank. Erica Hines is the coordinator for the outreach ministry. The clothes are given away freely. Also, our church is now offering a ”Free Food and Fellowship” to the community. There are many folks in our community who have fallen on hard times and we just want to help out. We are blessed with many volunteers. Gloria Woods is the coordinator. 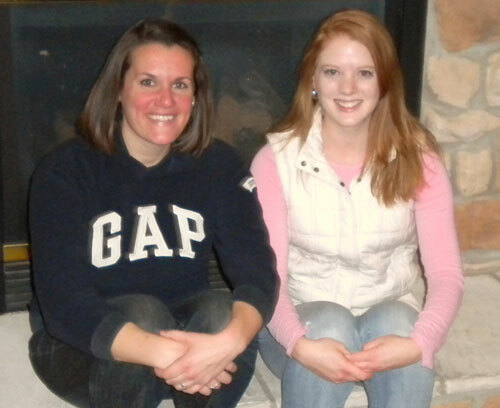 Emily Bruce and Samantha Little are preparing for a medical mission trip to Sierra Leone December 27 through January 10. They will accompany a group of students and faculty from the Nursing School at Indiana Wesleyan University to serve the people Kamakwie Wesleyan Hospital. The medical mission team will fly into Freetown and travel by water taxi and van to Kamakwie Hospital. They will do rounds with a doctor and work alongside national nurses to provide education updates for the nurses and staff. They will also travel to three outlying clinics to assist in surgeries, deliver babies, provide inpatient care, and treat patients. Please pray for Emily and Samantha as they represent Christ, the United Brethren in Christ, as well as their university. Emily is the daughter of Pastor Bob and Kathy Bruce. Bob serves on staff at Emmanuel UB in Fort Wayne, Ind. Samantha is the daughter of Pastor Chris and Keri Little. Chris is senior pastor of Mt. Pleasant UB church in Chambersburg, Pa.